Welcome to Ivory Hair and Beauty, Doncaster East, Your premium supplier of hair and beauty services in the Doncaster region. Get in touch with our friendly staff to book your appointment today! We pride ourselves in producing stunning hair designs and hair styles to suit our clients. 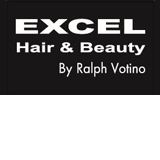 Tape hair extensions and hair straightening are among our specialities. Also see us about Keratin treatment. Doncaster East hairdressers offering womens and mens haircuts, hair styling, hair straightening and a large range specialist services. At Rush Hair & Co we offer you a unique experience in a relaxed atmosphere using exceptional products and services from our safe and organic range of colours, perms and treatments. We use highly regarded and renowned products including Qaba, Keune and Organics. All our products are amonia-free and pdd-free. You'll be safe in the knowledge your hair is in the hands of capable professionals who want you to have stylish, manageable hair. Our salon is a stylish airy space where client focused service is our highest priority. Sit back in comfort and enjoy the massage chairs at the basin, try one of Qabas natural tea blends and just relax. RUSH HAIR Our salon is a stylish airy space where client focused service is our highest priority. Sit back in comfort and enjoy the massage chairs at the basin, try one of Qabas natural tea blends and just relax. RUSH Beauty Relax & Enjoy, you deserve it! We invite you to book a totally FREE beauty consultation & skin analysis with our qualified and experienced Beauty & Skin therapists to discuss your personal needs in the privacy of our modern and relaxing therapy rooms. At RUSH our aim is to ensure all our valued customers are provided with only the safest high performance products and services available.